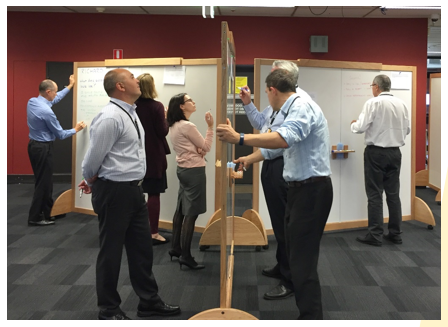 To enable this, we have created a new IT collaboration and co-design space on level 14 of the Library. It’s way more than a physical space, it’s a capability – a new way of thinking, a new way of working. This space is called The IT Launchpad. Why has The IT LaunchPad been created? IT understands that the nature of work is changing, not only at UNSW but everywhere. We realise that it is essential to think differently about how we make our decisions, and get work done. 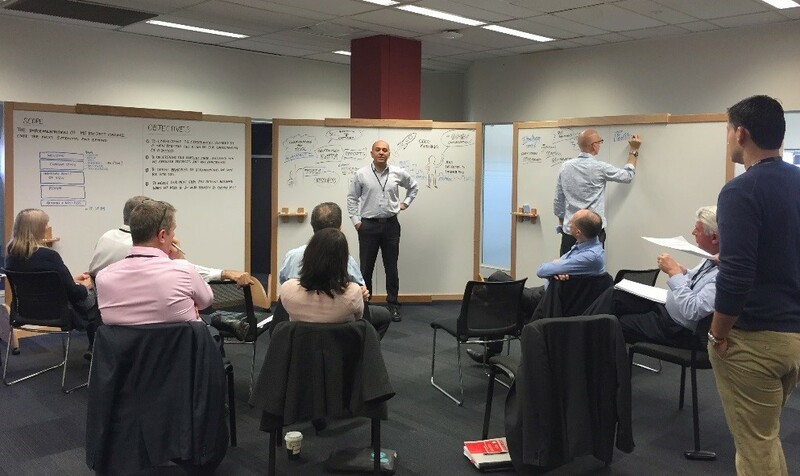 Because IT is at the centre of the new digital word, The IT LaunchPad enables UNSW IT to work very differently with our customers, as well as fundamentally change the way we work with IT. The IT LaunchPad changes the way we work by allowing the acceleration of cross-stakeholder discussions and highly technical design activities. It will provide a short-term home to mission critical projects which need to be turbo charged. We want to create great partnerships with our stakeholders including, the Faculties and Divisions. So we’re ready to help innovation and to achieve our strategic goals. How does The IT LaunchPad add value? We will welcome working groups that are involved in work such as stakeholder collaborative decision making, process design, requirements gathering, customer feedback, alignment, strategic planning, understanding project dependencies and that are IT related and in-line with the 2025 strategy. The IT LaunchPad will draw on a number of collaborative methodologies such as design thinking, ethnographic research and other consulting methodologies to ensure that events are designed and implemented in a way that brings out the best possible thinking and engagement level from each participant. The team focus on helping groups to stay on track to successfully meet their objectives. ‘… The environment for today’s workshop was collegiate, very well facilitated and supported the intended outcome – Well done! 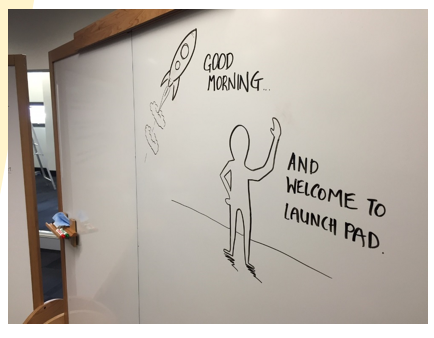 Want to learn more about The IT LaunchPad? Make sure you are subscribed to IT Central- The IT Blog for updates on this exciting new way of working. If you have any questions or comments please contact Conrad Mackenzie.